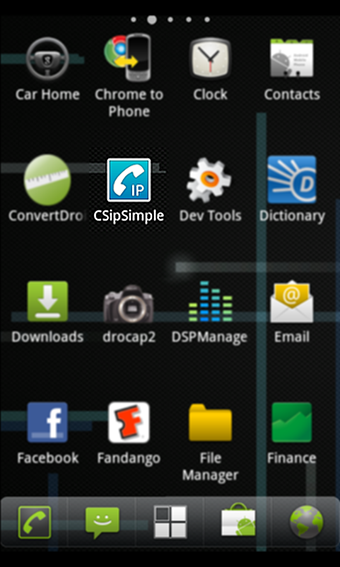 CsipSimple is a SIP softphone for the Android platform which provides a stable usable interface for making calls with your Callcentric account. This guide is based on version 0.02-02 r944 of the CsipSimple application. This guide will assist you through the simple configuration of a Callcentric account for use. For further information on how to integrate the softphone into your Android device please view the built in FAQ in the application. Configuring CSipSimple for use with Callcentric is pretty straightforward and can be completed in a relatively short time. You will see various options inquiring as to the level of access you wish the application to have. 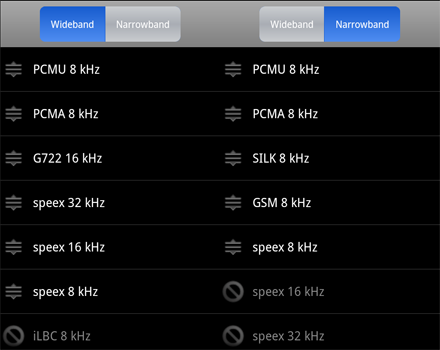 For most users using SIP the default options should be fine however you may customize them according to your needs. Once you are done click the save button. 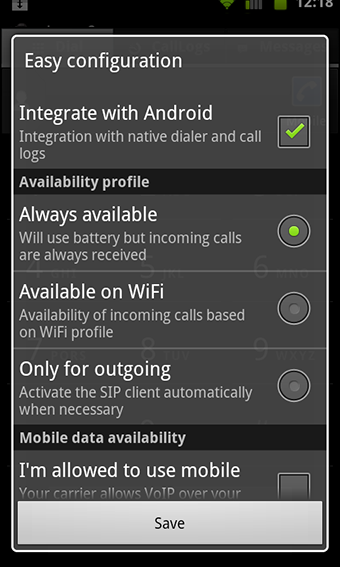 If you are installing the softphone for the first time you will be taken to the Accounts screen. 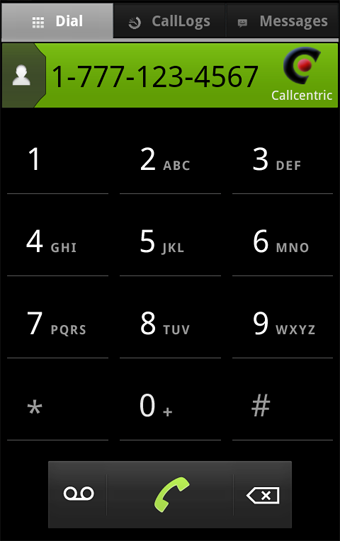 Otherwise you will be at the dialer and will need to activate the menu and then click on Accounts. Click on the Add account button to begin adding your Callcentric account. 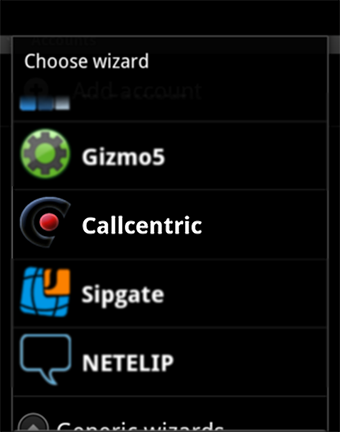 Callcentric is already included in account wizard so simply scroll down and select the menu entry for Callcentric to begin configuration. You will be prompted to enter your username and password. The information below is all that would be needed, since the built in profile contains all necessary server options. 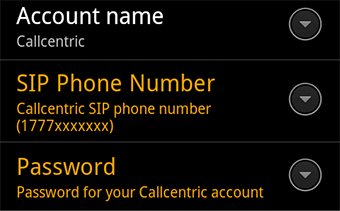 SIP Phone Number: This is either the default extension 1777MYCCID OR 1777MYCCIDEXT, where 1777MYCCID is the 1777 number assigned to you by Callcentric and EXT is the three digit extension you are trying to register this UA to. Once you have completed the above make sure to save your settings. 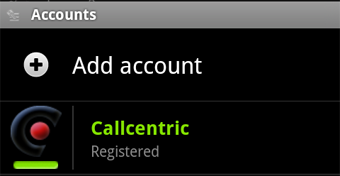 You will now see that your Callcentric account is registered. If it is not registered please make sure you are properly connected to either WiFi or your wireless carrier and make sure that you have used the correct username and password.